Perhaps the greatest performance against Auburn for any Georgia defensive player, ever, in helping prove that Brandon Cox is indeed color-blind. Auburn's leading receiver back in '06 on the Plains. 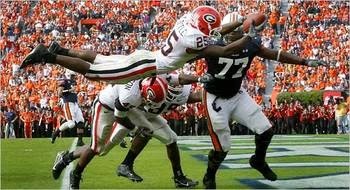 Tra Battle, damn good Dawg! Seen here without his cape.